We arrived to the festival on Thursday, and I could feel the first butterflies in my stomach the second I saw the first festival-signs on the way in to the artist check-point. We had a great time watching awesome bands and meeting friends from all around the world, and then suddenly it was Saturday morning and 10 minutes to showtime! When our intro started rolling, I heard a huge crowd clapping, and I just wanted to laugh out loud when I ran out on stage and saw the response and the size of the crowd! The rest of the gig was just unbelievable… We LOVED every minute of it, and I thank all of you who came and watched our show, whether it was intentionally or you just randomly came there, and made it every bit as big live-experience as I imagined it must be back in 2001!! 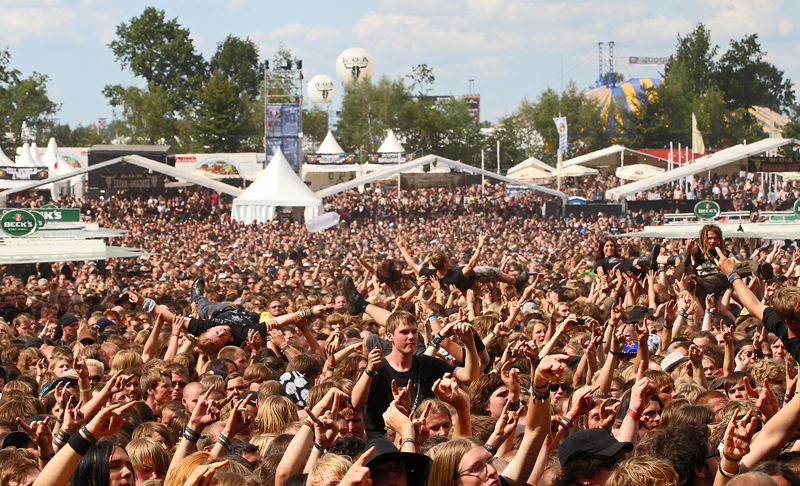 Wacken – the undisputed champion of metal festivals worldwide, is now finally the upcoming arena for Triosphere! This truly marks a new chapter for the band as we are on the billing among legends like Ozzy Osbourne, Motörhead, Judas Priest, Children of Bodom, Avantasia, Mayhem, Airbourne, Blind Guardian and many, many others. It is with utter delight that we announce our performance at W:O:A 2011 – See you metalheads there in August! All rights reserved. Triosphere 2016. Website designed by Gerwin Bakker.